Posted May 21, 2013 by Dr. Glenn Norton & filed under . John was unhappy with his smile for a long time. He also had decay under some older crowns and fillings. 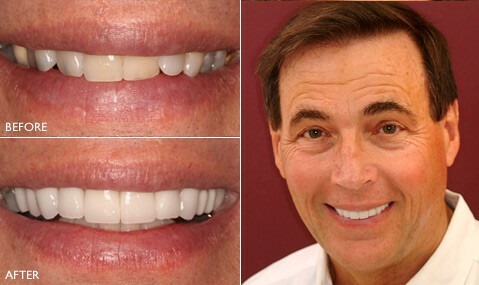 Dr. Norton was able to restore John’s smile with porcelain crowns and porcelain veneers.